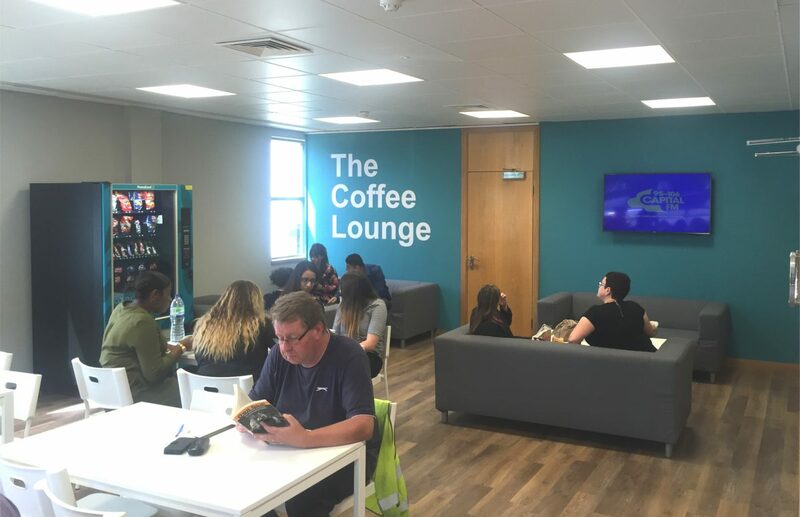 CWP working together with Luxonic lighting have recently designed and fitted a new Coffee Area at Poundland’s Head Office at Willenhall. We changed the flooring, installed a new kitchenette, new breakfast bar feature, new ceiling, new decoration with feature lettering and new LED lighting throughout. All works were completed over the weekend to keep disruption to a minimum.